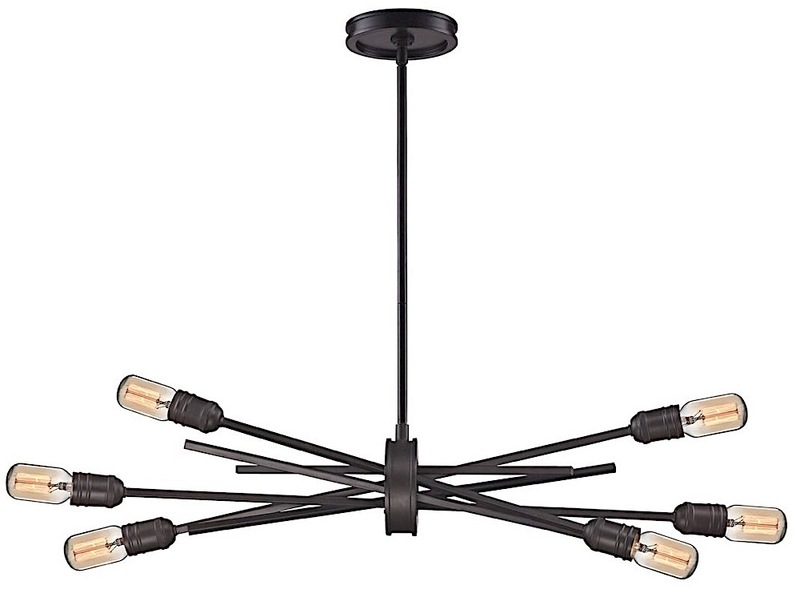 The Xenia 6 Light Chandelier has a modern design. The unequal linear arms pass through the central part of the fixture. Crafted from metal, these arms can be adjusted from a near parallel position to a loosely gathered look. The fixture is in oil rubbed bronze.